There is a saying that your best camera is the one you have with you and this photo is no exception to the rule. I was visiting Disney’s Animal Kingdom park while traveling light, reads without my DSLR cameras. 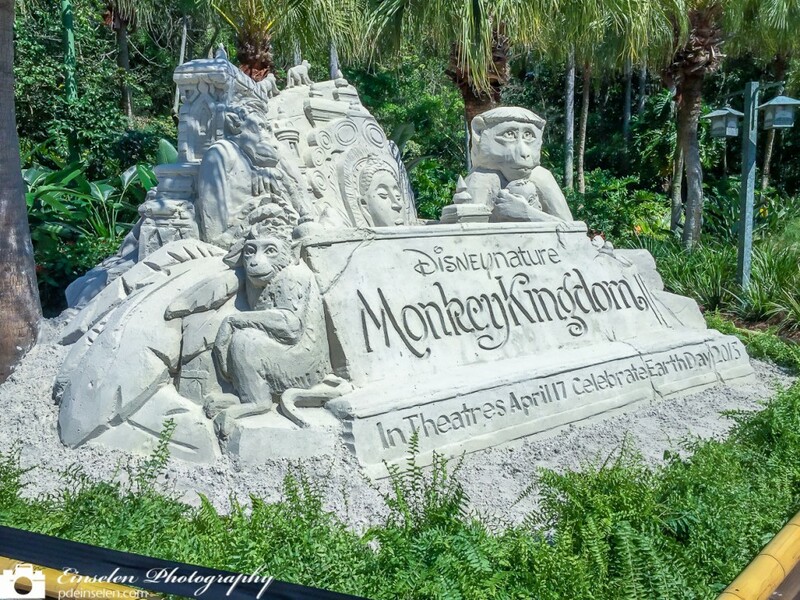 As I was entering the park I saw the Monkey Kingdom Sand Sculpture being constructed outside of the main gates to promote the upcoming Disney Nature Film by the same name Monkey Kingdom. After visiting the park I saw the completed Monkey Kingdom Sand Sculpture. Since I was traveling light, I took out my phone and snapped a quick photo, careful to compose it to crop out the kids and families taking photos in front of the sculpture. I decided to tweet out the photo a few days later and the Official Disney Nature Twitter account as well as the Conservation International Twitter account retweeted the picture, at this point untouched and unedited, gained over 9,000 impressions of the photo. Since then, I adjusted the photo in Adobe Lightroom, my editor of choice at the moment, to finish with this version.